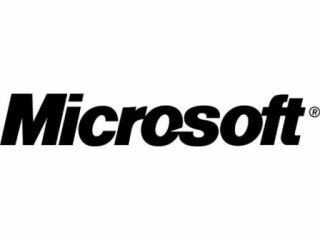 The next version of Microsoft's office communication server, Exchange 2010, will include new features designed to keep ever-expanding inboxes under control. MailTips will warn users before they commit an e-mail faux pas such as sending mail to large distribution groups or to recipients who are on holiday. Voice mails will be able to be previewed as text messages in Outlook, and individual workers will be able to set up their own voicemail call-routing systems, complete with 'Press 2 for... a strange clicking noise followed by silence' options. Ever get annoyed by rambling e-mail threads that just won't die? Exchange 2010 lets you choose to ignore entire conversations, a digital 'mute button' that allows you to remove yourself from an irrelevant e-mail string. You can also view your messages by conversations, grouping specific themes and reducing clutter. Basex Inc recently estimated that the average number of corporate e-mail messages received per person per day is expected to reach more than 93 by 2010, costing businesses £435 billion annually in lost productivity. Microsoft is also aiming for a more consistent experience, giving users a near-identical experience whether they're using Outlook on the PC, mobile phone or in a browser. Exchange 2010 is the first product to be introduced as part of the next wave of Microsoft Office-related software and should be available in the second half of 2009, with Office 2010 and other packages following this time next year. A public beta of the server is available for download starting today at http://www.microsoft.com/exchange/2010.